I figured a map of City Center would be most helpful in explaining where some of these hot spots are for restaurants, museums, bars and fun shops! Number 9, is the Convention Center. Most places are a 15-20 minute walk from the convention center. If you are hoping to make it up to Thayer Street, you may take a cab, drive or take the bus. For today we are going to discuss G-PUB. G-PUB is located at 61 Orange Street. Orange street is off of Weybosset St. G-PUB, is known as a big sports bar & restaurant. They have several large screen TVs, and 6 smaller screen tv locations around the bar and at the booths aligning the restaurant. Before 7pm, G-PUB is pretty tame, no rush to get there, but after 7pm you might want to put a reservation in for a table. They will fill up fast and there could be a wait. Once you’re seated, their menu is full of bar snacks like chips and cheese stout dip ($3), spicy sriracha edamame, and house made beef jerky. They also have to share plates, one of them being Mussels in a creamy mushroom and bacon broth that comes with toast. 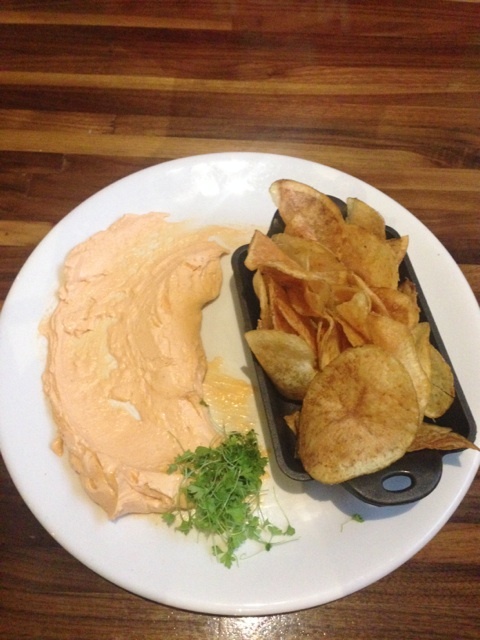 It’s so good you may not want to share it with your friends ($13). Continuing down the menu there are sandwiches, burgers, hot dogs and Americanized larger plate. 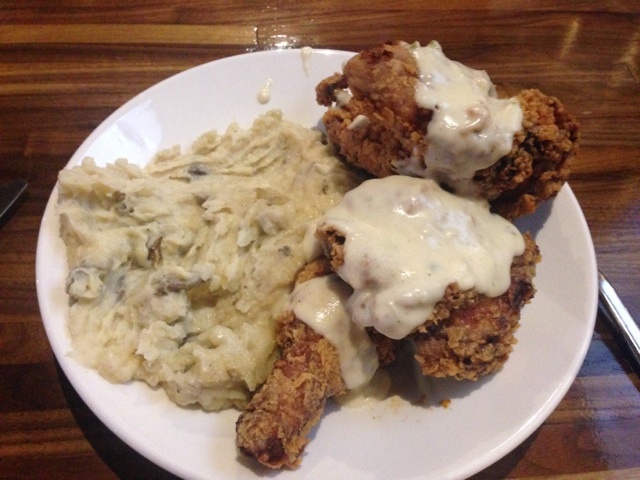 Such as southern friend chicken with pepper jack gravy, spinach and mashed potatoes($17). The fried chicken is enough for two people if you’re looking to share. If you’re looking for dessert, G-PUB also has a wide variety of housemade ice creams, cheese cake, peanut butter cake and a wonderful whiskey caramel bread pudding.